These Days | Live. Learn. Love. Eat. Some random things that have been going on these days. I don’t feel like I get to catch up on writing about life things too often and just feel like reflecting a little tonight. She named her bike Strawberry. Middle name, Shortcake. I swear that I have the two biggest Strawberry Shortcake fans in the world. 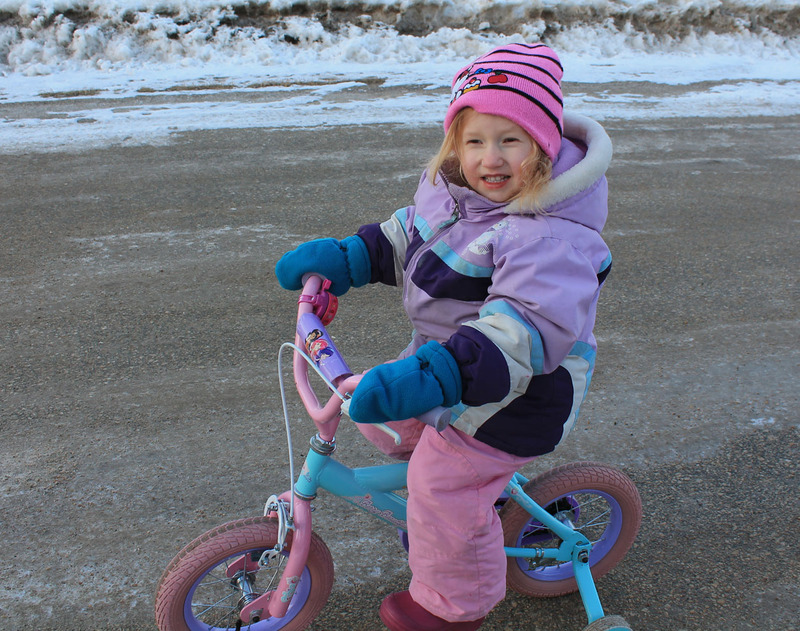 It is so cute when Kesa rides her bike and sings “Giddy up Strawberry! Giddy up Shortcake! Strawberry Shortcake!” It is a heart melting moment for momma. Today I decided to take the camera out and take some pictures and video of these precious moments. I can’t believe that we are halfway through February already! 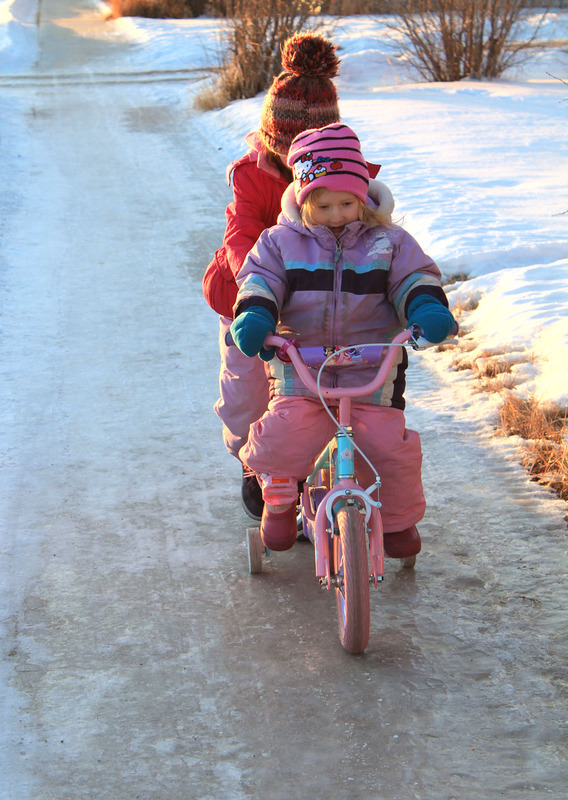 This winter went by fast for me, unlike last winter which I spent pregnant, sick and inside most of the time. I went through a dark period winter last year as some of you may remember. 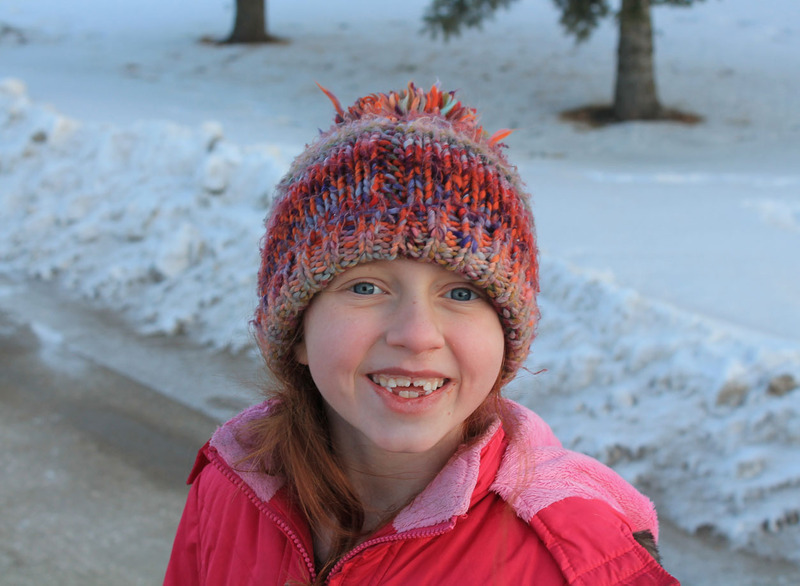 This winter I have been busy with Serafina, homeschooling Autumn and coming up with recipes and starting work on my cookbook that I hope to get published someday sooner than later. I am just taking it one day at a time and trusting that it will all get done exactly when it should. 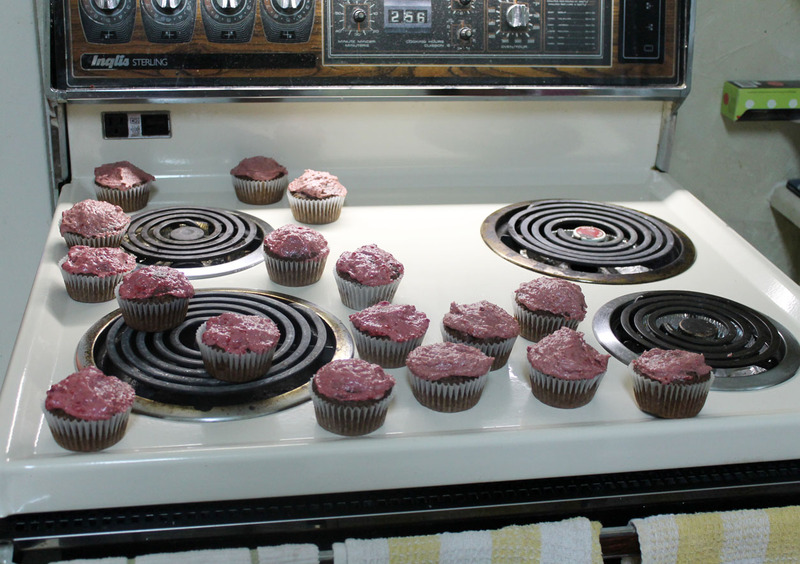 I made the yummy Chocolate Cupcakes with Raspberry Icing again! Yes, we ate 40 cupcakes in less than a week. We love our baked goods around here and I don’t feel bad because it is all healthy ingredients! These are my Valentines treat to the girls. 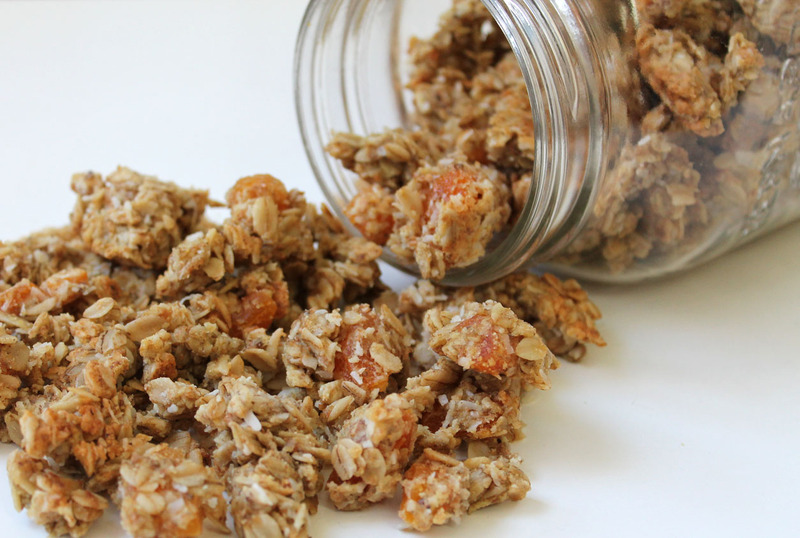 I have also made more Coconut Apricot Granola and am working on some Pumpkin Oatmeal Cookies too. I told you I was a baking addict. I am not kidding. If I don’t bake something every day (even if it is just bread) I don’t really feel accomplished. It is my hobby and it is a hobby that I can eat too! I need my daily maple syrup fix to keep me a happy momma. I love my sweets. There could be worse addictions. 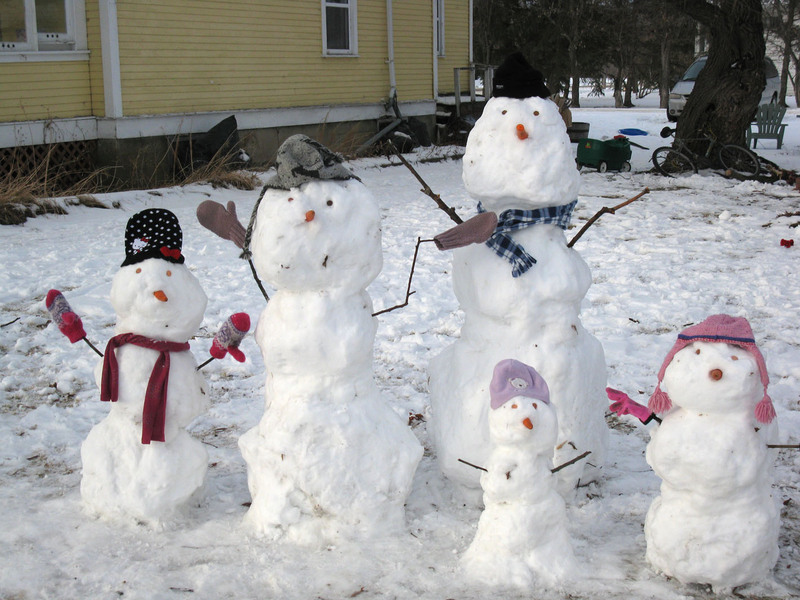 Remember the beautiful snow family that I worked so hard on? 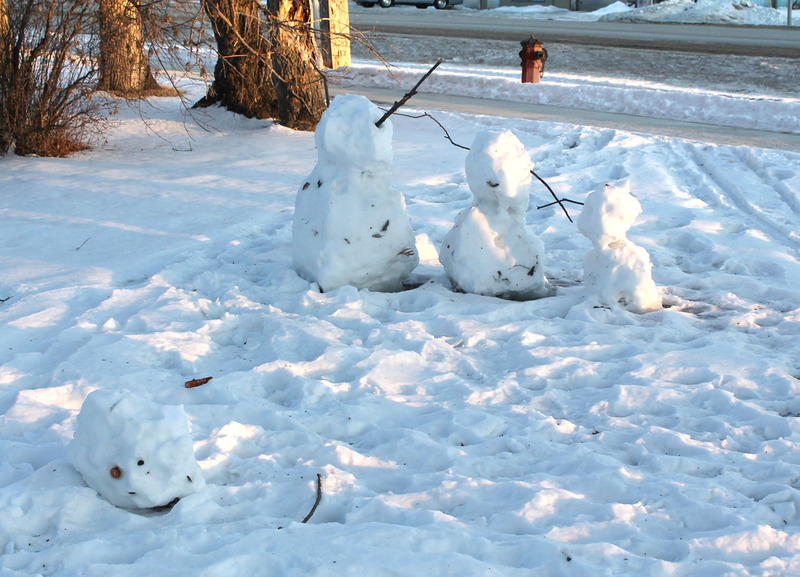 Well, someone thought that it would be funny to smash the heads off of our snow family last weekend. 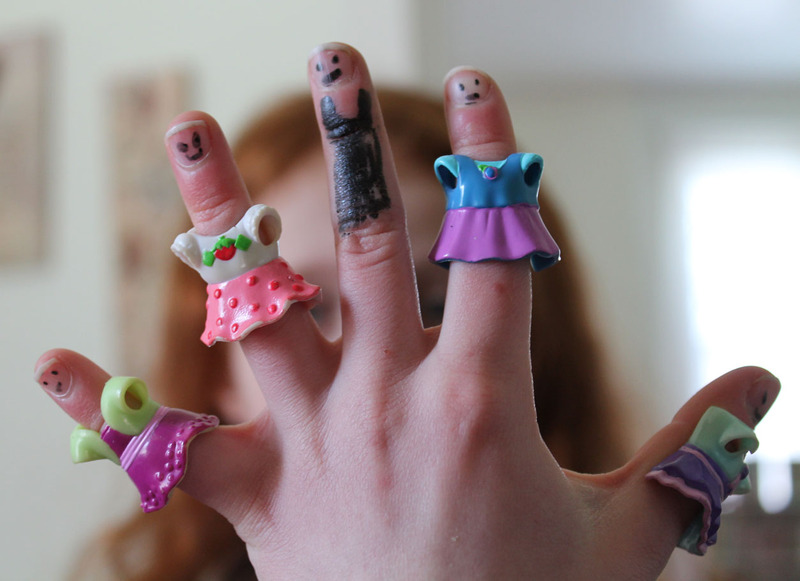 Luckily the girls weren’t sad about it, but I did spend a long time making those for them, so I found it a little sad. The kicker was that it was in my birthday that it happened too. 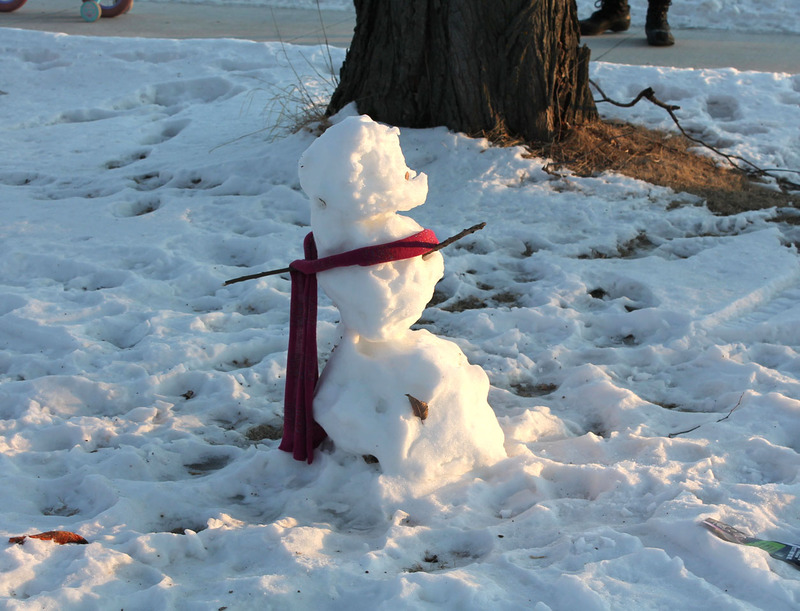 Autumn is such a smart, beautiful and optimistic girl though, she just took the decapitated snowman heads and made a new snowman! Half of the work was already done for her! I love that kid. I really do. She is so awesome and creative. 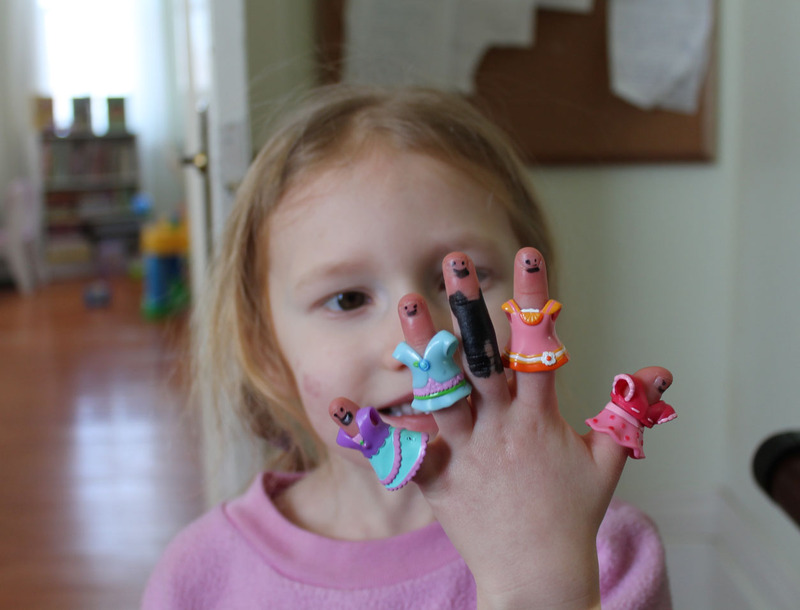 Here is the finger family that she made yesterday. In order from left to right, Autumn, me, Craig, Kesa and little Serafina. Serafina has now mastered the art of sitting! She will be six months old tomorrow and I bet crawling won’t be far off. I wonder how I will get anything done once that happens! And that is some of what is going on around here. 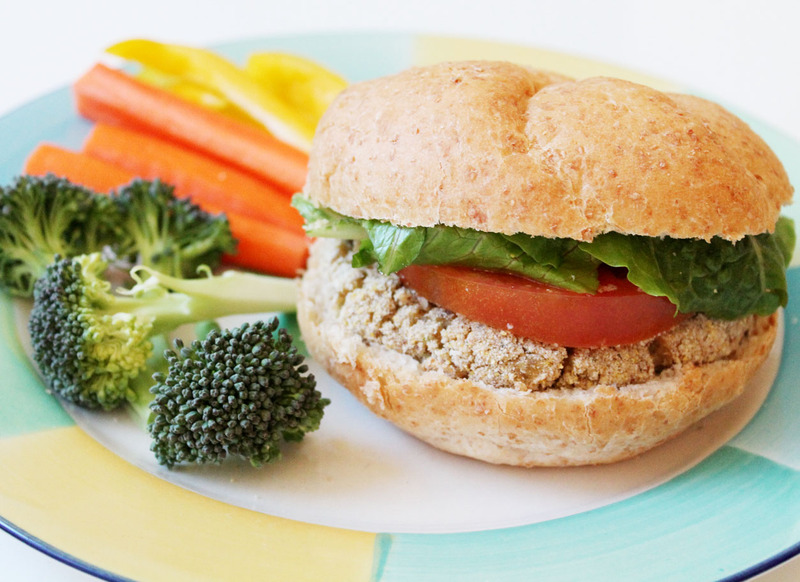 Tonight I am feeling happy after a beautiful day and a belly full of Lentil ‘Chicken’ Burgers. Hi, my dear just wanted to let you know that I nominated you for the Liebster Blog Award a meaningless peer-recognition award which is to say – I think your blog is kinda swell.